Add Module To Page: When you add this module on a page for the first time, you will see following info. Please click "Edit Html" button, then you will enter "Edit Html" page. 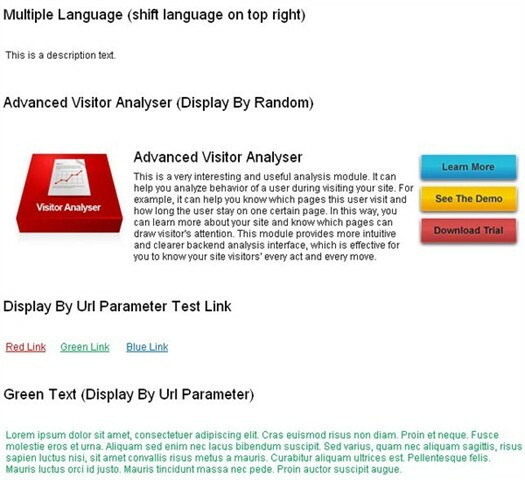 Edit Html: You can choose to display content according to Random, Url Parameter or normal mode. You can also choose to display certain content in certain language. You can add site language through Admin->Language and it includes Backup and Restore functions here. HTML Settings: You can choose to enable Replace Token function and Backup function or not. You can also choose to keep how many backup records at least. For extra records, they will be deleted. 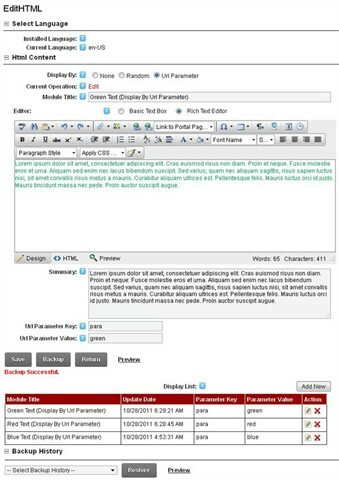 You can configure Public Header And Footer Content. On the same one portal, content of this part is the same in module. 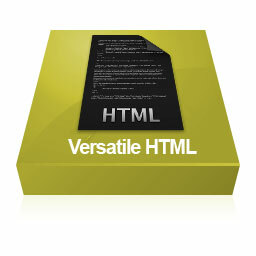 Support multiple language for Module Title and HTML Content. Support function of displaying content randomly. Support function of displaying different content according to different URL parameters. 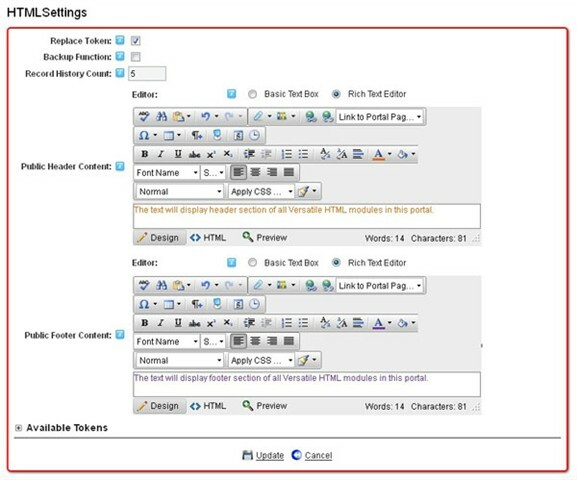 Support function of configuring Public Header And Footer Content. On the same one portal, content of this part is the same in module. Support function of saving and restoring content. Inherit token function from DNN HTML module. Inherit Search machanism from DNN HTML module.